In 1995 Budo International Magazine published its first interview with Grandmaster John Pellegrini. 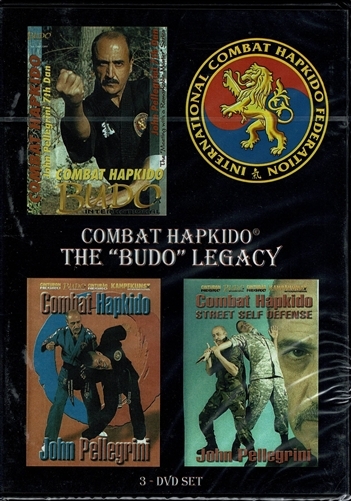 It was the beginning of a successful cooperation that continues to his day and has resulted in many articles on Combat Hapkido & it components (including two cover features on the Founder); several video productions; US and European BUDO Hall of Fame inductions and one book. This limited edition, collector's 3 DVD set features the Founder performing an exciting variety of classic Combat Hapkido techniques that clearly shows the stages of evolution of the System over the years. It also includes some rare and historically relevant interview footage of a (much younger) Grandmaster Pellegrini.